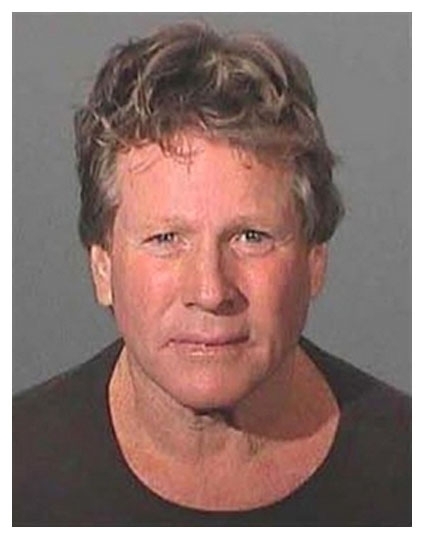 Actor Ryan O'Neal was arrested in February 2007 by the Los Angeles County Sheriff and charged with assault with a deadly weapon and negligent discharge of a firearm after fighting with his son at his Malibu home. Cops allege that O'Neal, 65, got into a fight with his 42-year-old son Griffin and fired a gun during the argument. After posing for the above mug shot the actor was freed on $50,000 bail. Submitted by Shelly Shores on Tue, 2010-08-31 04:26. This guy deserves "Father of the Year"!